GetResponse is a marketing platform with tools for email automation, building landing pages, and managing customer relationships. 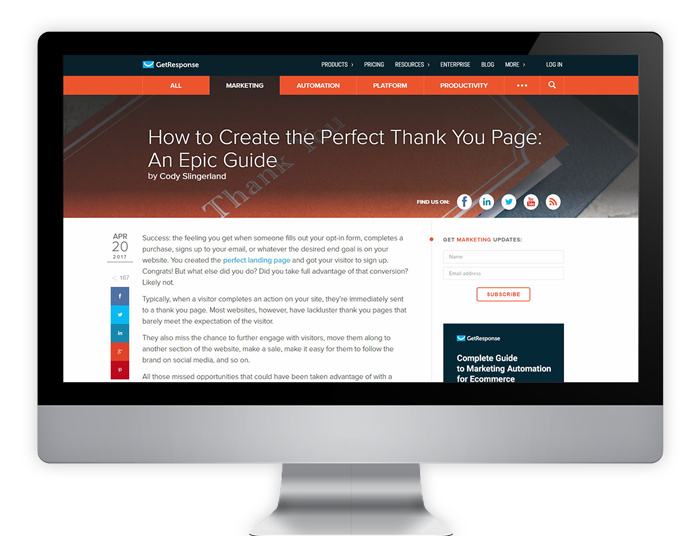 The blog post detailed here, “How to Create the Perfect Thank You Page: An Epic Guide”, was published as a guest post to the GetResponse blog. The target keyword was “thank you page”. The post went live in April 2017. As you can see in the screenshots below, the blog post ranks as the on the 1st page of Google as the 9th result for that specific search. 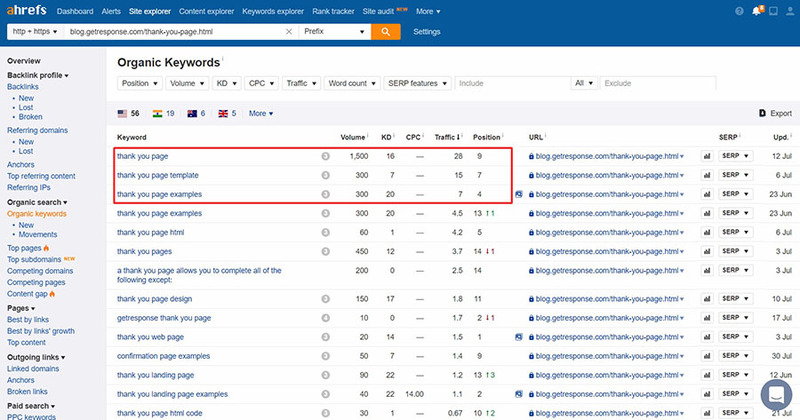 It also ranks for related keywords such as “thank you page template”, “thank you page examples”, and “thank you page design”.